If running the 04 valley with the integrated pcv, do you need to run a pcv between the can and the manifold? If the valve is built in, than no. Good info Tracy I didn't mention the aspect you state above because you can't do one without the other. I use oil analysis to monitor contamination levels associated with engine oil. I haven't seen any difference in analysis results comparing results before and after the catch can so it's my hypothesis the PCV system was and still is functioning correctly. I disagree with venting the crankcase. This reduces the efficiency of the PCV system by introducing a large pressure drop that would normally be a constant slight vacuum. Short of a highly efficient coalescing filter pared with a vacuum pump configuration, it's impossible to completely eliminate all oil vapor from the PCV system. A little (hard to define) is okay, IMHO. Typically, if venting to atmosphere seems to help the PCV system it's because the flow through the clean and dirty sides is not adequate. A can with larger ports and larger ports on the rest of the system will typically cure this problem. I've never used yours or seen the interior design of your catch can so I can't comment on it's specific effectiveness. I can say that most of the cans I've seen here and on other boards are a joke. The fresh air intake on the OEM one draws the filtered air through the front of the TB and it is unrestricted as well, so no true vac is pulled on these (you would need to seal it & have a vac relief valve to get negative atmosphere in a crankcase) so the only difference is that the seperate breather will not allow any oil mist through inversion pulse. The can MUST be sealed though w/no breather or it is nothing more than a overflow can. It does draw fresh air that does not go through the MAF, so in that effect it is not metered as far as the PCM/ECM reading 100% of the air used, but it shows no noticeable difference on the A/F readings. This is a great disscusion! Youve done some good homework on this. As for the design of our oil seperator (and you are SO correct that most out there are no more than what a coke can with fittings would be!) we use a perforated dispersion tube that runs from the center of the top of the can (the inlet) down to 1" from the bottom. This allows the vapors to be completely dispersed as they are drawn into the can making the maximum equal contact with the cooling surface allowing the most complete condesing effect possible. This also allows no restrictions as the can fills, and we integrate a PCV/check valve in the top outlet (top side of the can) to keep the flow metered properly and prevent droplets from pulling through. We also tried the mesh type filter material which worked great until it saturated, then we could see droplets pulling off the material and traveling through to the intake. One revision we plan on is an additional baffel that would shield the outlet even more in the instances of excessive oil usage motors to help when the can reaches capacity. These threads are great education for the members here as so many have had so much disinformation fed to them and just putting 2 fittings into a container no matter how nice it looks from the outside will trap some oil, but will not come close to eliminating the issue. As you stated earlier, you only want fuel/air mixture in the combustion chamber. Any oil or other contaminate reduces the amount of energy released with each explosion and thus less power & the negative effects of carbon build-up on the piston tops & valves drastically reduce the efficiency of the air pump a motor is. thousands of mine are in use and have been tested side-by-side with most everyone on the market and have yet to find one as efficient. I have yours on my car as well. I had a timing chain failure so everythign is apart right now, but I noticed when I pulled my intake manifold off, that there was not 1 drop of oil in there. I even rubbed my finger inside of the manifold and barely got residue on it at all. I truely am a believer/impressed with your product. So for a f-body that hasn't converted to the ls6 valley covers, you're going to pull off the rear of the driver's side valve cover and "T" in with the rear of the passenger side cover and go into the top of the catch can, right? Then the outlet line of the catch catch goes into the PCV valve and into the intake manfiold post throttle body. "So for a f-body that hasn't converted to the ls6 valley covers, you're going to pull off the rear of the driver's side valve cover and "T" in with the rear of the passenger side cover and go into the top of the catch can, right?" Great discussion, I hope others benefit from it. Here's how I would route an LS1 without the port on the valley cover. See Post: https://ls1tech.com/forums/11059703-post70.html for diagrams. Last edited by 405HP_Z06; 02-15-2009 at 10:48 PM. For the single can are you suggesting a pcv valve from the driver's side to the dirty inlet and then another pcv valve afterwards? TLewis, can you pm me a link to your catch cans? No, the small black square in the diagram was meant to be the factory 'Y' in the rear where the passenger side rear valve cover port attaches. Ok, so the PCV valve prevents boost from entering the crankcase "which is the whole problem with fi here" but what about the "clean side" I can see boost entering the crankcase here, and pressurising the case, causing oil leaks out the rear main etc etc. I'm thinking the best place to let the "clean air" enter the system is before the turbo / supercharger. Am I right here or am I missing something. 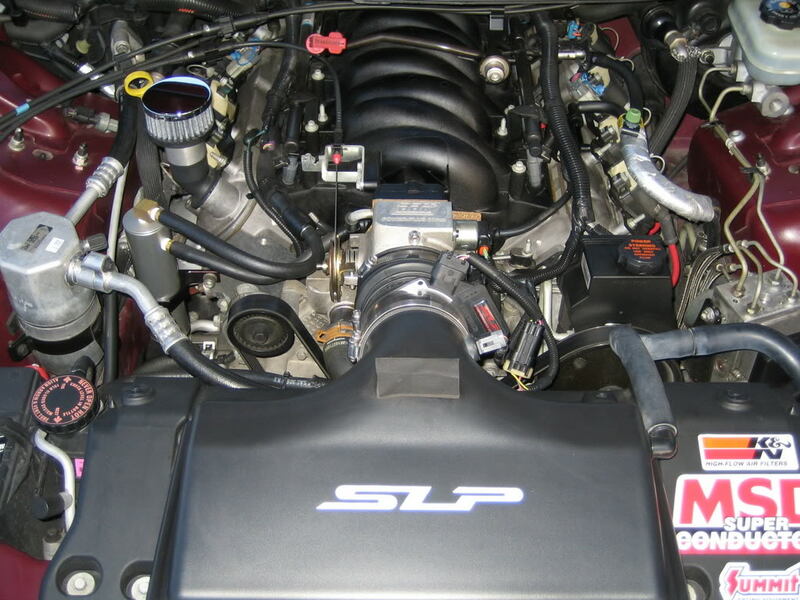 Can you elaborate on that as far as the proper routing with one catch can for a ls1? That would be a big help. Ahh that makes sense now. I assumed this was FI PCV discussion. Thank you. Last edited by RAWPWR3; 03-20-2009 at 12:00 AM. I would take the breather filter off and reinstall the factory clean air line. In the future, I would look at a RevXtreme or Saikou Michi catch can. Thanks for replying. I have already seen the Saikou Michi cans when i found this thread, but ill also look into the RevXtreme one, and whats youre opinion on the AMW cc? Do you suggest i route my lines like in youre diagram for the single setup as well. Thanks again, and sorry to the OP for the thread jack. <snip> and whats youre opinion on the AMW cc? Do you suggest i route my lines like in youre diagram for the single setup as well. Thanks again, and sorry to the OP for the thread jack. The AMW looks good, but doesn't function very well. It will catch some oil but no where near all. As far as line routing, yours is okay. I would recommend capping the passenger rear VC port. The RevXtreme can is a good functional design. Would plumbing it to the port on the turbo suffice? Is the port on the pressurized side of the turbo?